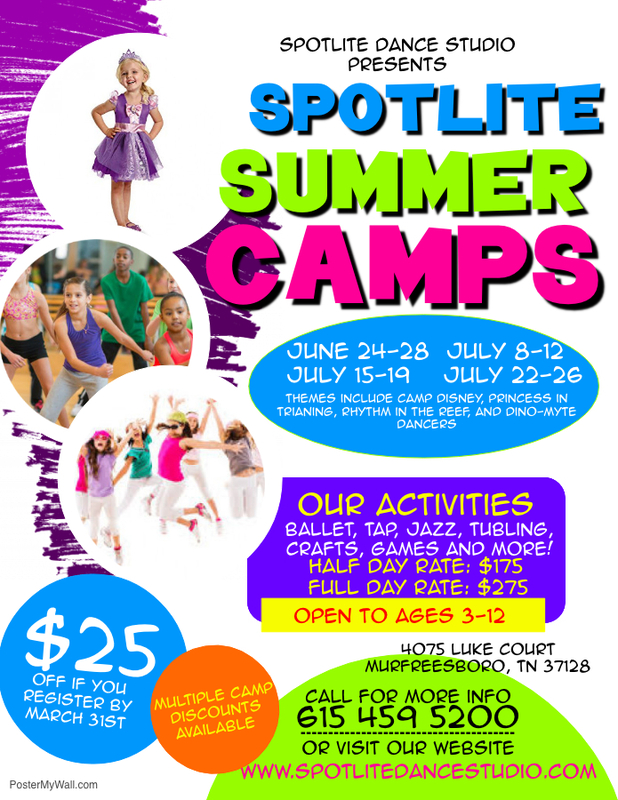 Summer Camp 2019 | Spotlite Dance Studio, LLC. Dance and technique camps for ages 2-18! Join us for fun, games, dancing, crafts, snacks and more! Offering full day camps as well as half day and evening camps. New fun themes each week such as Camp Disney, Princess in Training/Superhero in Training, Rhythm in the Reef, Dino-Myte and more!